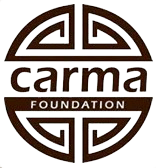 The Carma House is in a small village located in Léogane Haiti about 90 minutes outside of Port-Au-Prince. Decades ago Melky’s father adopted this orphanage and made it his mission to help these children. Unfortunately, he passed away suddenly in 2001. Inspired by her father’s commitment to the children of this orphanage, Melky and the Carma Foundation made it their number one priority. We first began providing aide for the children in the form of clothes, food, medical aide and monetary support since our inception in 2007. We quickly realized the need extended beyond the orphanage and throughout the local village. As a result, any child from the village who come while we are on our missions receives support from us. The need to help these children is greater now more than ever! We continue to support the children in every way we can by providing the essentials every human being needs to live but also by lifting their spirits with a day of fun and new uniforms. Ultimately our goal is to extend far beyond food, medical aide and clothes. We want to insure that all these children receive a good education and become productive members of their society. him for a day. But if you give him a fishing rod, you feed him for a lifetime” and it’s our believe that if we can provide these children with proper nutrition, health and education we will lift them out of the poverty trap they face generation after generation. To complete our mission we need to raise funds toward this project.